The C63 S and Giulia QV both really produce 600 hp, and the M3 CS produces more like 550 hp. It is also held back intentionally, more to come by MB in later editions. thats not true, you have to look at the 4-door... beside that, the acceleration isn't that much better, as expected. it's all about the handling, that makes it much more faster on the track. The C63S is actually very powerful compared to Audi's S4. I use "terminal" for bhp and "dragstrip terminal" for whp. 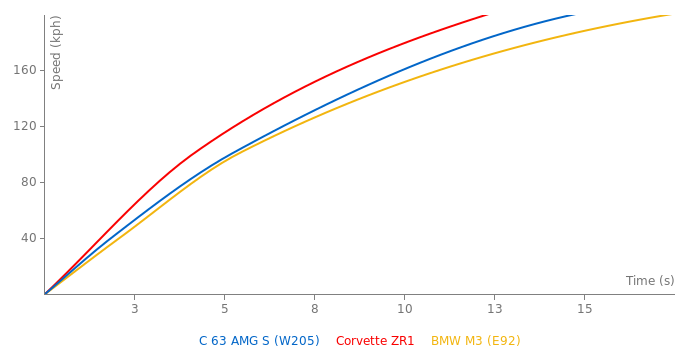 With rear-drivers typically having 15% drivetrain losses (whp/0.85) and all-drivers losing 30% crank horsepower (whp/0.70), the C63S, M3 and S4 actually make 509, 521 and 537 bhp, respectively. The ATS-V is the king at 576 real bhp. Back then (like the '00s), traction and gearing were very important things, so there were bigger gaps between tested 0-60mph times (quickest and slowest) for every car. The C 55 AMG (2004-07) had 0-60 times ranging anywhere from 4.9 to about 6.2 seconds, the Audi RS 6 (2002-2004) anywhere from 3.9 to 5.6, etc. Even supercars like the Ford GT sometimes were magazine-tested from 0-60 in about 3.5-3.7 seconds on average, while in reality the 550hp 2005-2006 Ford GT had a 0-60 time of more like 4.5-4.6 seconds due to gearing and clutch problems. Nowadays supercars sprint to 60 in 2-3 seconds, and it's least likely you'll hear of a Lambo Huracan doing 0-60 anywhere tardier than about 3.2 seconds. So no, most mainstream cars couldn't have 400+hp, not even almost any Mustang or Camaro or Lancer Evo. Even then, the 2007-2009 GT500 could only do 12's-13's in the 1/4-mile with 500hp. This could do high-11's at quickest with three more horsepower. If this were on drag radials and had a pro driver, this would sprint to 60 in about 3.3-3.4 seconds. In comparison, the 2010-2012 Ferrari 599 GTO with 661hp did 3.8 to 62. 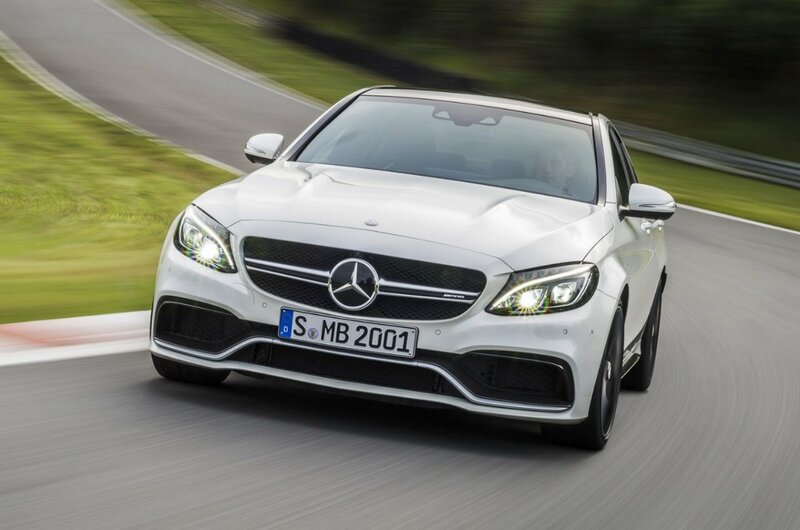 This new AMG probably accelerates just as quick as a Ferrari Enzo at the start! All these modern cars from Benz, BM or VW/Audi are insanely complex. Unnecessarily so - 90% of the tech thats in them are gimmicks, yet when they brake you, of course, want to fix them. And it will cost an arm and leg for the second and third owner who will buy these cars after the warranty expires. So the midsize car is closer to the fullsizer in terms of power? Btw, this is excluding tuned cars like Brabus, Callaway, especially Hennessey, etc. Back then, compact cars (aside from the Evo, WRX STi, M3, etc) only had about 100-200 hp. Midsizers (aside from BMW M5, CTS-V, etc) had 150-250 hp, and fullsizers had 200-350 hp on average. A decade ago of course! Even between the 2000s and 2015 (right now), that's a huge gap from that latter! Mercedes are making cracking cars. The A45, CLA, GLA, C class... great engine performance, great interior, great exterior. But I just know they will have a ton of repairs after the 2nd year and bills will be crazy. It's ok if I don't buy a Benz, but if I do and I really do see the bills coming in, I would have to hang myself. Auto Bild Sportcars test: Mercedes-AMG C63S T-Modell Vs BMW M4. A really really good video review of this car. Really liked the overview of the engine, chassis etc. Inline 6 rules, learn german man! This car weighs 1730kg with driver (68kg) and lugage (7kg). So without that, it weighs 1655kg! You will never tell. They look just the same :D. But thats what Mercedes has always intended. Since the w220 and w203 days. Ok the 203 had different headlights, but the design was very similar. And it looks......EXACTLY the same as every other AMG model.....I swear MB is getting lazy. Shouldnt bother calling it a 63 AMG with that engine, So tired of these downsizing forced induction engines, Bring back that 6.3! 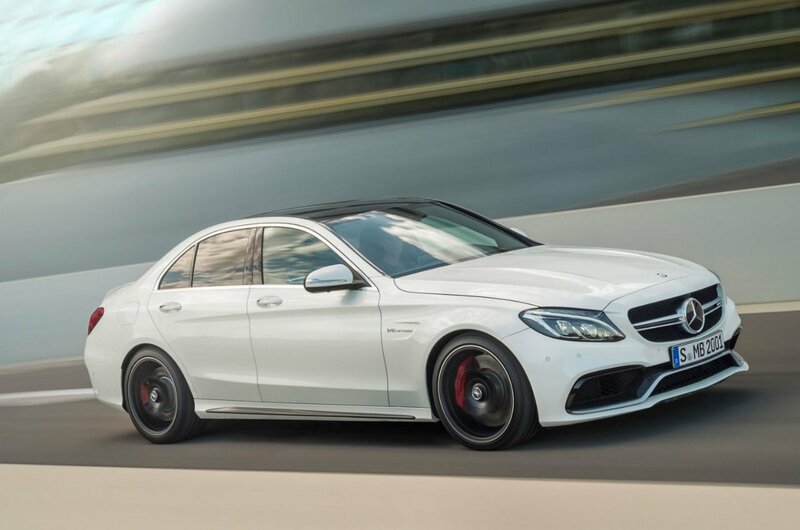 The S version of the C 63 AMG. The weight is 1725 kg. It says leergewicht 1800 kg which includes +75 kg (driver and luggage), so curb weight is 1800-75=1725 kg. And please change the name to Mercedes instead of Mercedes-Benz.